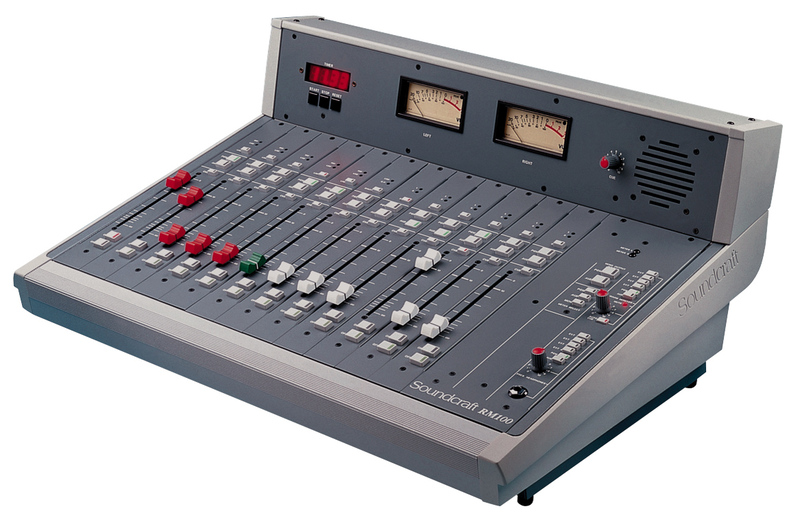 The Soundcraft RM100 is a fully modular radio on-air console which is ideal for use in local radio and other smaller broadcast applications. Designed with ease of use as the prime consideration, it offers a fully-featured yet affordable studio control package. The RM100 is available in three frame sizes of 8, 12 or 20 channels. The modules are selected from the range of Mono, Stereo, Telco and Source Select. A Master Module is standard with every console. The RM100 is readily available in three standard configurations, although custom configurations are available to special order.